Fierce fighting around Yemen has reportedly killed dozens of people over the weekend (December 2 to 3). Saudi-led air strikes are said to have targeted Houthi rebel positions, lending support to loyalists of the former president. 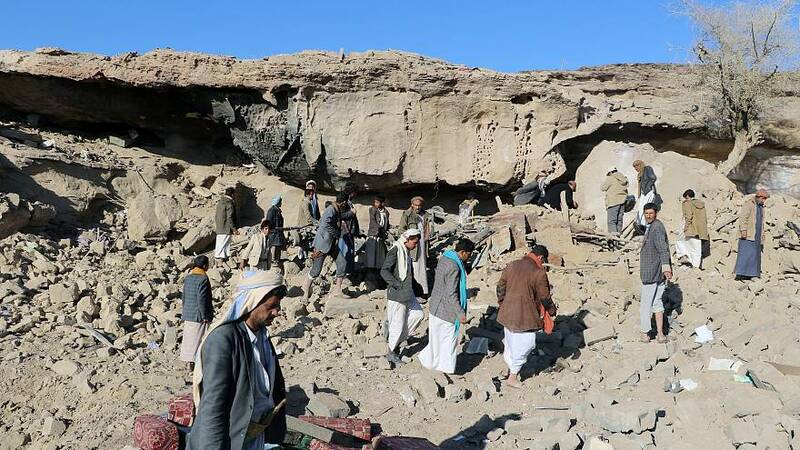 But in the northern province of Sadah local civilians were impacted. "Everyone who was here, almost 15 people died. It killed everyone," said local resident Aly Al Mazhary. Ex-President Ali Abdullah Saleh made a speech on Saturday (December 2) appearing to signal a shift in strategy that would sever ties with the Iran-aligned Houthis. He said he was ready to “turn a new page” if Saudi-led forces put an end to attacks on Yemeni citizens. It’s a move that could lay the foundations for peace after nearly three years of war, which have ravaged the country. For now, though, fighting goes on. Ports have been blockaded, roads, schools and businesses closed and the United Nations says it is working on evacuating at least 140 aid workers from the capital. More than 10,000 people have died and over two million displaced since the war began. Almost a million people have been infected with cholera and other diseases and Yemen is on the brink of famine.